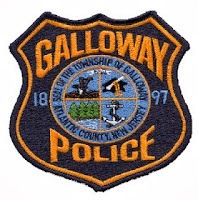 Galloway Township Police responded to 752 calls for service during July 27, 2014 through August 2, 2014. Additional statistics include: 7 Burglaries, 15 Motor Vehicle Accidents, 69 Tickets issued, 4 Driving While Intoxicated, 29 Arrests, 15 Domestic Violence, 12 Fire Calls, 95 EMS Calls and 0 Juvenile calls. Tiffany S. Small, 31, of Galloway was arrested by Ofc. Scott Winneberger for DWI on July 27. Ryan S. Romanek, 38, of Barnegat was arrested by Ofc. Scott Winneberger for DWI on July 27. Mikal T. Dublin, 23, of Galloway was arrested by Ofc. Dominic Fabrizo for possession of less than 50 grams of marijuana on July 27. Rex C. Lysinger III, 30, of Galloway was arrested by Ofc. James Mullholand for contempt on July 29. William A. Miles, 53, of Galloway was arrested by Ofc. Ronald Gorneau for DWI on July 30. Larry Gilliam, Jr., 36, of Hammonton was arrested by Ofc. Christian Magazzu for obstruction of justice on July 31. Ronald W. Skinner, 60, of Hamilton Twp. was arrested by Ofc. Dominic Fabrizo for DWI on August 1. Spencer C. Evans, 28, of West Creek and Cassandra R. Macavoy, 25, of Toms River were arrested by Ofc. Scott Winneberger for possession of CDS and possession of hypodermic needles on August 1. Taliah L. Brown, 36, of Atlantic City was arrested by Ofc. Tom Guercioni for hindering apprehension on August 2.